The SW arts scene is about to expand further. A 15,000 SF space initially designed for a performing arts venue at 1250 Maryland Avenue at The Portals has finally found a tenant. A lease was recently signed by Art Soiree, which according to the organization’s website is “a Washington, DC based organization that is committed to curating, conceiving and realizing contemporary art exhibitions, festivals and art projects.” The organization has been around for seven years and during that time, they have hosted hundreds of pop-up events at different venues, but the Portals will allow them to have a permanent space to host exhibits and special events. According to ABRA, the name of the venue will be Artechouse and will serve as a multi-purpose facility, an arts and cultural gallery space with multifaceted program uses, including but not limited to theater, exhibits, live music, performances, film screenings, installations, public and private events. The maximum occupancy will be 375 people and they plan to host about 200 events a year. At a hearing back in September, the applicants expressed their desire to open in time for the Presidential Inauguration in January 2017. 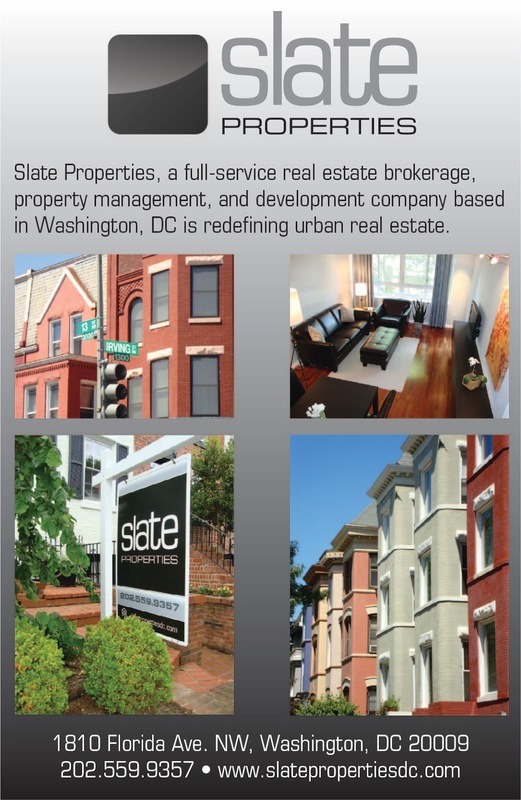 An ABRA hearing is scheduled for December 12 and ANC 6D will consider their CX license application tomorrow. There was a feature in Washingtonian about the Mera and Donald Rubell, who own the Capitol Skyline Hotel and have teamed up with Telesis to redevelop the former Randall School at First and Half streets into a modern art museum, restaurant, and 500+ multifamily rental apartments in two high-rise buildings. The revised project was approved back in 2014, but nothing has happened at the site. Earlier this year, it was announced at a community meeting that the development team added Lowe Enterprises to the project. In the Washingtonian article, it states “after years of delays, the couple is poised to break ground.” Unfortunately, the project architect Bing Thom (who also designed the remodeled Arena Stage) won’t be able to see the project to fruition since he passed away this week. 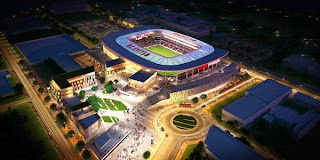 Over the weekend, the District transferred control of the D.C. United stadium site in Buzzard Point to the team, according to The Washington Post. The District was responsible for assembling the land, razing the existing buildings, and utilities upgrades. A revised PUD application was released over the summer and the team will be facing the Zoning Commission in November. If the stadium plan receives approval, construction can begin in early 2017. As a result, the scheduled opening of the new stadium has now slipped a few months to at least June 2018. The team will likely have to plan an extended road trip in the first part of the 2018 MLS season before they can play their first match in their new home since they intend to leave RFK at the end of the 2017 season. Meanwhile, construction continues at the new Pepco Waterfront substation, with the steel frame of the south side of the building now up. Road closures around the construction sites of the stadium and the substation are now in effect, limiting access to the area. The substation is scheduled to be completed in 2017. Akridge has revived their marketing for 100 V Street, the seven-acre site they own just south of the stadium site (the site was originally nine acres – two acres were taken by eminent domain for the stadium project). 100 V Street is now planned as a 2.4-million SF mixed-use development (it previously was planned as an ideal location for a federal tenant pre-soccer stadium). 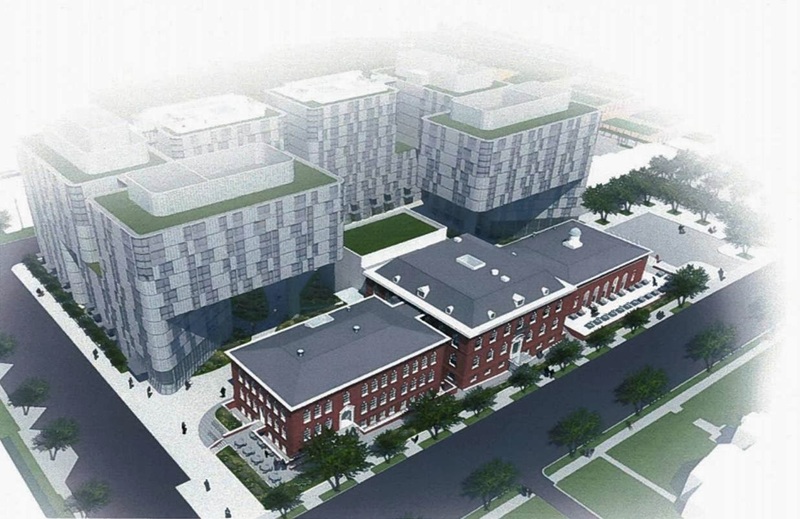 The site is just north of the former Coast Guard headquarters building, which will be redeveloped by a team of developers including Akridge to a mixed-use project called Riverpoint with rental apartments, condos, and retail. The new owner of the site to the east of the Riverpoint project has renamed the proposed condominium Peninsula 88. A press release was sent last month stating the new name and that plans were submitted to the Zoning Commission (the plans are not yet available online). Even though the architect remains the same as what it was under the previous owner, the design has been changed. Part of the site is currently being used as a flower farm, which was featured in The Southwester. Construction on the condo project is expected to start in 2017.